OnToAWinner had a quiet week on the racing front this week. Carbutts Ridge had a couple of entries during the week but Karl decided to give him well deserved mini break to freshen him up. He has targeted a couple of races for him at Southwell in a few weeks’ time. Our new Showcasing Filly (named Kick King Katie) has been entered this week in the £300,000 Tattersalls Sales race in Ireland. We have limited shares remaining in this cracking filly by a sire that brought us our biggest successes to date in Toocoolforschool and Quiet Reflection. As mentioned in previous updates, we will be having 3 stables visits in mid-February. We will be visiting Tim Easterbys on Saturday the 13th February at 10 am. We will be having a double stable visit to Karl Burkes and Ben Haslams on Saturday the 20th February. We will confirm the exact details closers to the time. If you are interested in any of the horses that Tim, Karl or Ben have to offer, get in touch and come along. Our beautiful Sepoy colt has now been named as Mutineer. 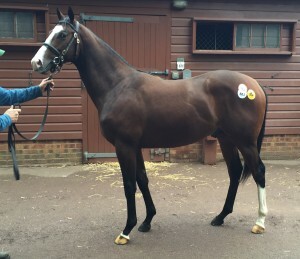 Hes a cracking looking colt in the mould of his sire, limited shares still available. Monpazier will make his racecourse debut this week. He will run at Wolverhampton on Monday in the 7 furlong maiden. He’s a big horse and will be better for the experience, good luck to his owners that are going. We had 2 runners that both ran at Southwell on Thursday this week. First up was Carbutts Ridge who ran in the 1 mile Class 6 event where Dougie Costello was aboard the Karl Burke trained 3 year old. Carbutts was sent off a 5/1 3rd favourite for the race with the well supported Kemsing being sent off an 11/8 favourite. Carbutts was drawn in stall 3 for the 9 runner event. He is not known for his fast starts and from the off, Dougie kept him on the rail, tracking the leaders in mid division. On the turn for home, Dougie got more animated in the saddle, Carbutts responded and began to mount his challenge on the inner rail. By the time they hit the home straight, he had gone into a share of the lead but the favourite looked to be travelling ominously well on the outside. The favourite went on to score by over 3 lengths with the fading Carbutts Ridge being passed late on to finish in 3rd position. Considering he received a 7 lb rise for his win the last day, it was a very creditable effort from him to finish in the place money. Abi Scarlet was next up where she ran in the 7 furlong seller event at the same track. Kieran O Neill took the ride aboard the Scott Dixon trained 7 year old. Abi was slow from the gate, outpaced and under pressure early on. Kieran was hard at work but she never got into a position to challenge and ended finishing in 6th position. Abi is not firing at the moment for whatever reason, we hope to get to the bottom of it sooner rather than later. 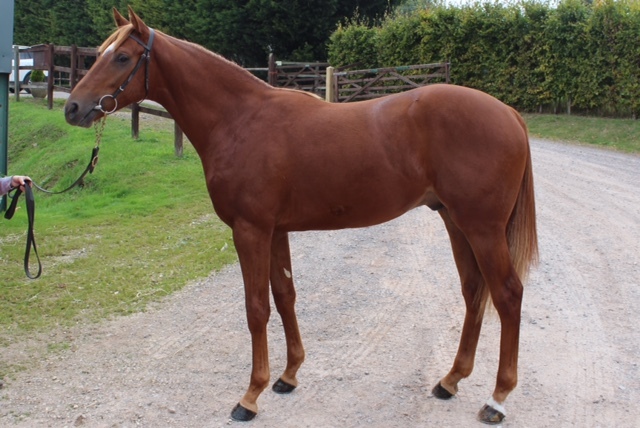 We added yet another 2 year old to the site during the week, a very reasonably priced Major Cadeaux colt from a family that we know very well. This colt is related to both Fast Shot and Flying Pursuit. He is a grand nephew of Fast Shot and a nephew of Flying Pursuit, this is a family that has brought us a lot of success in the past for reasonable outlay. He is in training with Tim Easterby, Tim is very fond of the family and recommended him to us, when Tim recommends one,we always take note. We will be having a stable visit to Tims on Saturday the 13th February. We will confirm the exact details closers to the time. If you are interested in shares in any of Tims horses, get in touch and come along to what’s sure to be a fantastic day out. 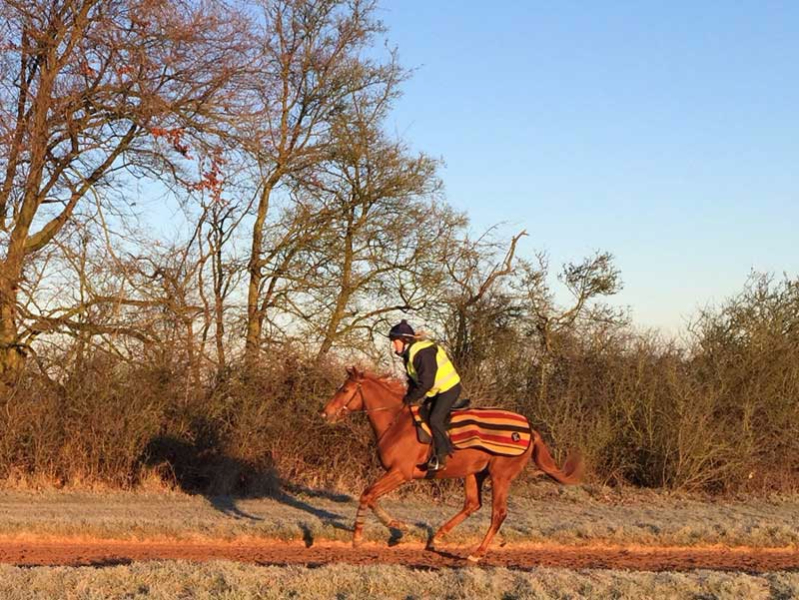 Check out the latest video of our Sir Prancealot colt flying up the gallops at Ben Haslams. The reports on this horse have been excellent to date, he is reported to be a workaholic with a fantastic temperament, a very exciting one for this year. Below are the latest pictures from Kublers of our Sepoy Colt. He really is a stunning looking colt in the mould of his sire. Yeeoow had a busy week this week where he ran at Kempton on Monday and Lingfield on Friday. 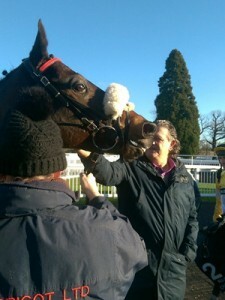 Monday saw him line up in the Racing Uk 3 Devices Handicap at Kempton where Justin Newman who claims 5lb took the ride. He was drawn in stall 4 for the 9 runner event. Yeeoow bounced out of the stalls well but soon after the start another horse cut across him and Justin was forced to take a tug. Heading into the bend, he was travelling wide in about 4th position. On the turn for home Justin had to get busy bit didn’t get the response that he would have liked and he ended up finishing in last position. It was a disappointing run but the general feeling was that he would come on for it. We will be having a double stable visit to Karl Burkes and Ben Haslams on Saturday the 20th February. We will confirm the exact details closers to the time. Stable visits are always a great day out, there’s always a great buzz when owners visit their horses and get a 1st hand update from their trainers. There are shares available in horses at both Karls and Bens (linked below), if you have an interest in any of the available shares, get in touch and come along to what’s sure to be a fantastic day out. Carbutt’s Ridge got 2016 off to the best possible start by winning the 32Red Handicap over 1 mile at Southwell on Tuesday. Ridden by Dougie Costello, the Karl Burke trained gelding was a well supported 11/4 favourite by the off having been as big as 6/1 in the opening shows. Carbutts had his usual slow start, Dougie had to get busy early and got him into a nice position by the 1st bend. Coming into the home straight, Dougie kept him up to his work and he started to pick them off, he took the lead and went away to score by just under 4 lengths in the end, a well-deserved 1st victory for both the horse and his owners. We will be seeing a lot more of Dougie Costello in the Yellow & White silks as he is now officially linked up with Karl Burke. The 33 year old has been mixing flat and jump racing for the past couple of years but is now to focus full time on the flat, following a route successfully adopted by Graham Lee and Jim Crowley. We are big fans of Dougie and think it’s a great move for all involved, strengthening the Spigot team both on and off the racecourse. OnToAWinner are always looking to strengthen our team and we are delighted to announce that Jonathan Adams has joined OnToAWinner. All of the team would like to extend a warm welcome to Jono, who can be found on twitter @ontoawinner5. We are sure that he will prove to be another top addition to the team. We will also be announcing a team of racecourse representatives in the coming days. Due to family and work commitments, it is not always possible that one of the core OnToAWinner team can make it to the races. Our racecourse representatives will be present on race day to ensure our owners have the best experience possible, we look forward to welcoming them to the team. Carbutt’s Ridge delivered our 1st winner in the calendar year when winning the 32Red Handicap over 1 mile at Southwell yesterday. Ridden by Dougie Costello, the Karl Burke trained gelding was a well supported 11/4 favourite by the off having been as big as 6/1 in the opening shows. Carbutts has his usual slow start, Dougie had to get busy early and got him into a nice position by the 1st bend. Coming into the home straight, Dougie he kept him up to his work and he started to pick them off, he took the lead and went away to score by just under 4 lengths in the end, a well-deserved 1st victory for both the horse and his owners. He will be out again soon and with the style in which he finished the race, a step up in trip may be an option. 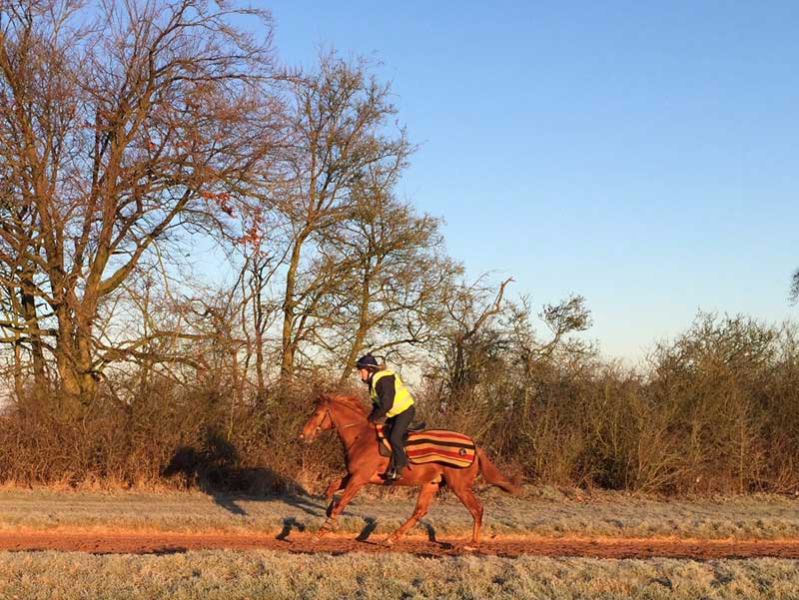 There is now only 7.5 % 5% emaining in our very exciting colt by Sepoy. Sepoy was the finest Australian juvenile colt for 35 years. Went on to be rated the world’s best three-year-old sprinter since Oasis Dream. Won the G1 Golden Slipper and G1 Blue Diamond. Two more G1 sprints at three. 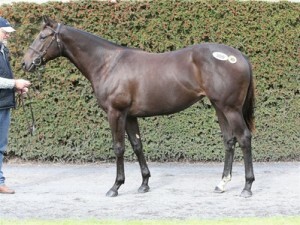 First European yearlings are selling for up to £315,000. Our colt is very well stamped by his sire, he in training with the very exciting Daniel and Claire Kubler who know the time of day, they are a team going places. Shares are selling quickly, Get in touch to avoid disappointment! Our star performer from the 2015 flat season is back doing light work. Karl reports that she has grown and strengthened up nicely. This daughter of Showcasing only had four races last year, she won 3 and was 5th in the Lowther on only her second start. She won over £82k in prize money in the year and we hope she can stay fit and healthy and have a very fruitful 2016 for her owners. Having won at both listed and group class last year, she has an official rating of 109 and will be racing in top class races this year with options in both France and England, Royal Ascot will be on her agenda. Happy New Year to all our Owners and supporters. We look forward to an exciting season on the flat with our largest 2-y-0 string to date. We’ve added three new yards, and give a warm Ontoawinner welcome to Kevin Ryan, Ben Haslam and Daniel Kubler. Kevin is no stranger to the team in reality, having trained 40 winners in the yellow and white colours when Yorkshire Racing Syndicates carried the colours in years gone by. The Royal Applause colt at Kevins is broken and ridden away, and showing plenty to suggest we’ll have some fun this season with him. 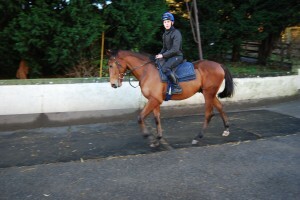 A few shares remain in this well bred son of Royal Applause. We’ve added two horses with Ben Haslam at Middleham, both look real two year olds with the Casamento filly a stand out for filly investors. Share remain in her. The Sir Prancealot colt, also at Bens, looks a real 2-y-0 prospect also and naming rights remain in him for anyone buying 25%. The Sepoy acquisition at Daniel Kublers is a fantastic option for Owners based in the South that want to go racing with a well bred and well stamped speedy son of a champion sprinter. Individual attention at this small yard is assured also, and the Sepoy colt could rank among our best purchases. The well bought Kheleyf colt, at Karl Burkes, pictured below, could prove a good find for little money and the Dutch Art filly on the website is a particular favourite already, and naming rights remain for the discerning filly investor, from a fantastic sire who stands at £40,000. 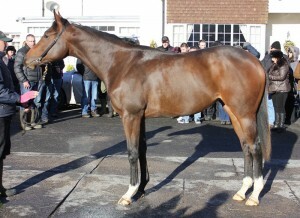 The speedily bred Baie Da’Amour will be out early we hope and will run for Ontoawinner and SDH Project Services Ltd. The owners should have some fun. A fantastic acquisition from Ballyhane joins in the form of the Elzaam colt and Karl Burke, like Ben Haslam, will train a Casamento filly for us called Bournville. The name comes from the home town of Jon Farmer’s father, Jon being a great supporter and friend of ours. Tim Easterby will train five 2-y-0s for us this time around, as a thank you for a fantastic season in 2015 with Sakhees Return and Flying Pursuit. Hard work is rewarded by Ontoawinner, and we’ll invest where we are successful. Among Tim’s string, we have a striking looking Harbour Watch, where the final 20% will buy you naming rights. He is a gorgeous prospect. Nobility, a son of Alfred Nobel, will race for Ontoawinner, Trojan Horse and Jim Pak. He was a cheap but well bought colt, and we’ll have some fun with these good owners win lose or draw. Suited, a well named daughter of Paco Boy out of Birthday Suit, is a racy looking sharp filly who we hope will add to the sires growing reputation. Named by Sandra and Phil Reed, who are fantastic with names, we hope she is out in April or May and we have some fun. Tim trained the dam to great success.